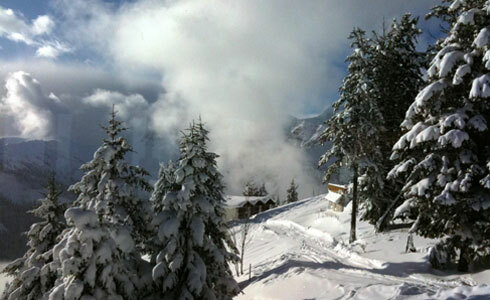 From 16/03 to 05/04: Night in dormitory with half-board and skipass for CHF 125. Ski, ski touring, telemark or snowboard, the snow sports school of Champéry welcomes you at the hotel on every Saturday. For the comfort of the parents, the children are taken in charge from the hotel until their return. 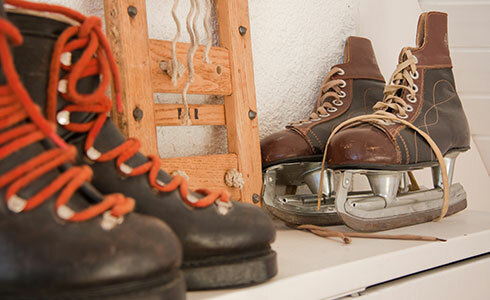 Plein Ciel provides you with rackets (snowshoes) to discover the "Portes du Soleil" ski ressort. 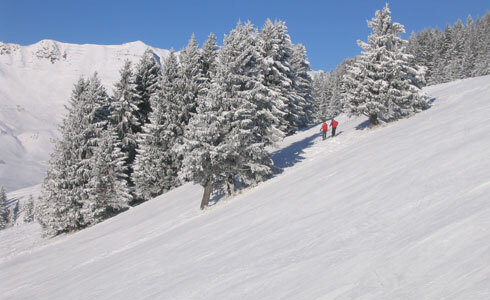 By the chairlift of Grand Paradis, reach directly at the stage of cross-country skiing (classic and skating) 7 km in length for a elevation of 100 meters. Weekly subscription 25 CHF, or daily 5 CHF. At hotel Plein Ciel, sauna and mini-gym. At the Palladium of Champéry, an indoor pool and a heated outdoor pool, and a gym. 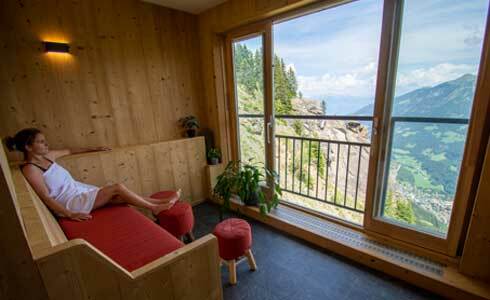 Spa Hydrotherapy: a day of rest and relaxation at the spa center of Lavey-les-Bains, 30 minutes from Champéry. Booking at +41(0)24.479.28.38, by mail or by the Contact page. Plein Ciel is a hotel situated in the heights. 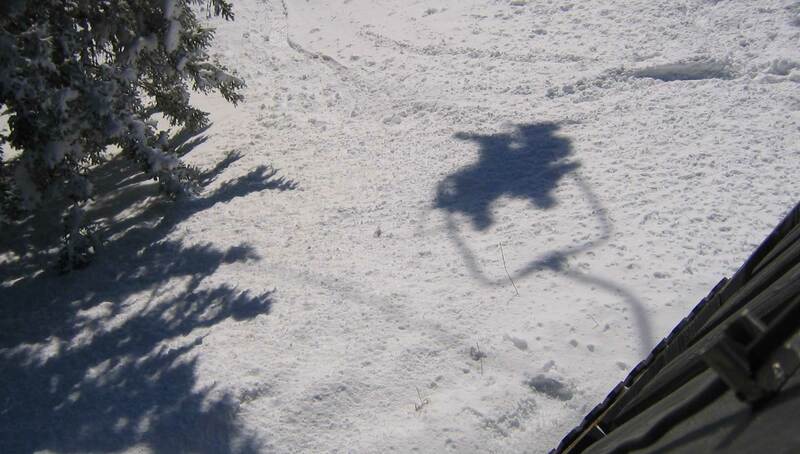 In winter, it can only be reached from 8.30 to 17.00 by the cable car of Champéry. The access conditions can be difficult.